Gemma did my makeup for my wedding day and it was outstanding! I have never felt more beautiful! She didn’t put too much on to where I didn’t look like myself. I received so many compliments on how good it looked! Gemma was also so so sweet the whole time. I didn’t have any family or friends with me since we were eloping, but she made it so special for me. She stepped in and helped me put on my dress and shoes and anything else I needed! I truly appreciated it so much! Thank you again, Gemma! You are amazing! Gemma, thank you so much for all your help with our special day. You truly had myself, bridesmaid s and in-laws looking their absolute best. You were a totally calming presence, and completely understood the natural brief. It was so nice having you in our home to get ready. Your advice on colours and products through the planning process was fantastic. Would totally recommend Gemma to anyone. Thank you again for the amazing job your team did. Not only did we all look beautiful, but you really captured the look I wanted for me and the girls. 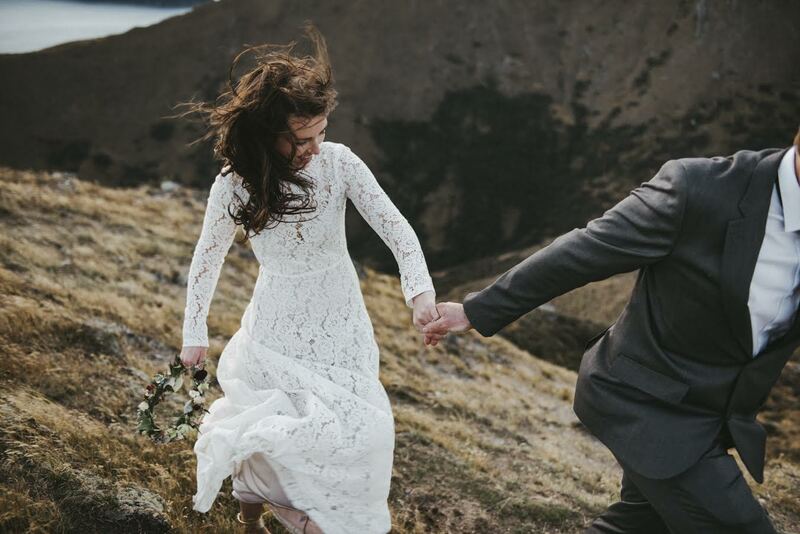 I would recommend your team to any Wanaka bride!!!! Gemma made me feel and look beautiful. She was friendly and relaxed and kept me calm. After completing my make-up, she helped me dress, and stayed with me until the photographer arrived. She really contributed to my special day in a big way. Gemma did my makeup less than a week ago for my wedding. We didn’t have a trial and within 2 minutes of arriving she perfectly understood what I wanted. She did my makeup flawlessly despite my skin breakout the week before. Beautifully natural and highlighted all my best assets. Not only that- she was an absolute gem! So kind, attentive and calm. Perfect for a wedding day bride! Keeping her in mind if I ever need my makeup done for a special occasion in wanaka in the future! I can’t believe it has almost been two months already since Sam and I said ‘I do”. Myself, my bridesmaids, flower girls and Mum would like to thank you once again on helping us look stunning for the wedding. It really means a lot to us how special you helped to make the day! Your lovely presence also helped to create a lovely relaxed and fun morning for the lead up to the ceremony! Gemma, I can’t thank you enough for your work on my wedding day. You brought such a calm energy that really helped keep me relaxed. We all loved our makeup and I have honestly never felt more beautiful! You truly are a gem x.
I was in Wanaka a few weeks ago to attend a friend’s wedding & decided to treat myself & have my make up done. I showed Gemma a pic of the look I was after and she did an amazing job! The make up looked fantastic and I was super happy with the result. She applied it at 10am in the morning and it was still looking great at midnight when I cleaned it off. Not only is Gemma amazing with make up, she is also very friendly and easy to get along with. She was also more than happy to answer any questions I had via email when I made my booking. I would highly recommend Gemma to anyone looking for a Make Up artist in the Wanaka area. Thanks again Gemma.